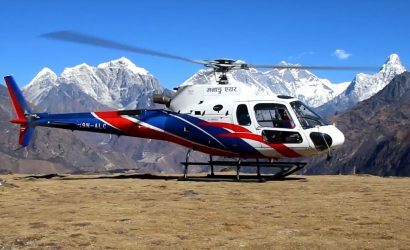 Everest Experience and Assistance is a well-known company in Nepal for providing you a complete assistance for trips to Nepal's Himalayan regions, conveys a resolute pledge to your safety and security in the air as well as on the ground. 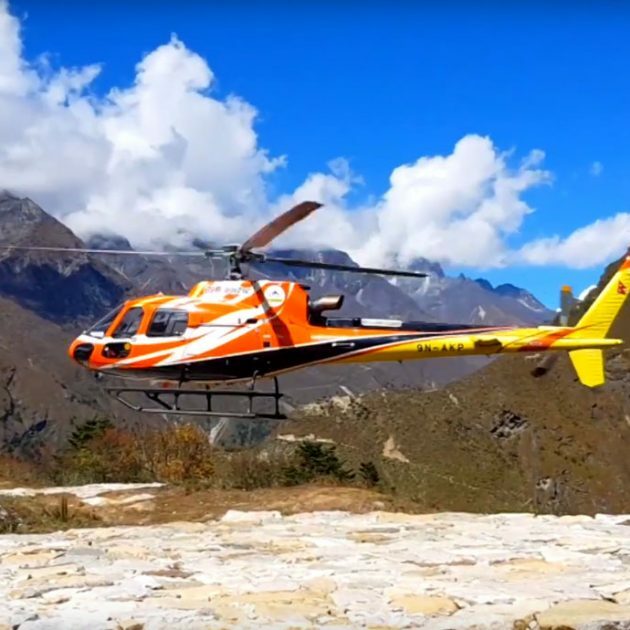 Working safely and economically by using B2, B3, B3+ helicopters that are specially designed to meet the specific needs of each of our customer all around Nepal and its Himalayas. 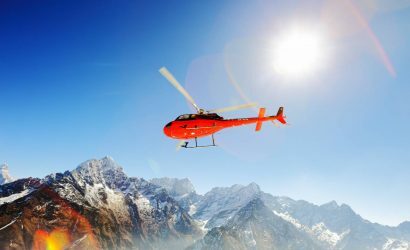 Our permit is endorsed mainly on Helicopter evacuation from mountain regions, Mountain flying, Nonscheduled air transport, project operations. 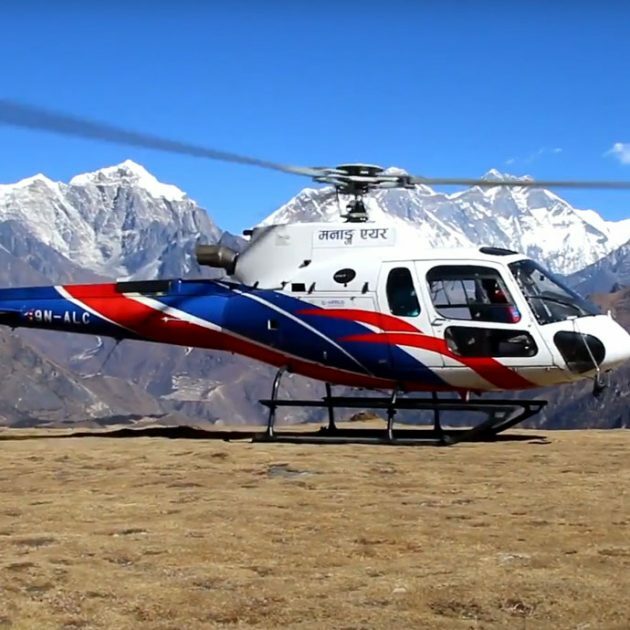 Everest Experience and and Assistance provides you emergency helicopter rescue, thrill flights to the Nepal's Himalayan regions, scenic tours including Everest Base Camp Helicopter Tour, midair photography, private charter with reliable service with unbeatable cost. -99.9 % of successful missions. -100 % Refund policy in case of incomplete missions. -Land directly at the hospital in case of extreme emergencies. 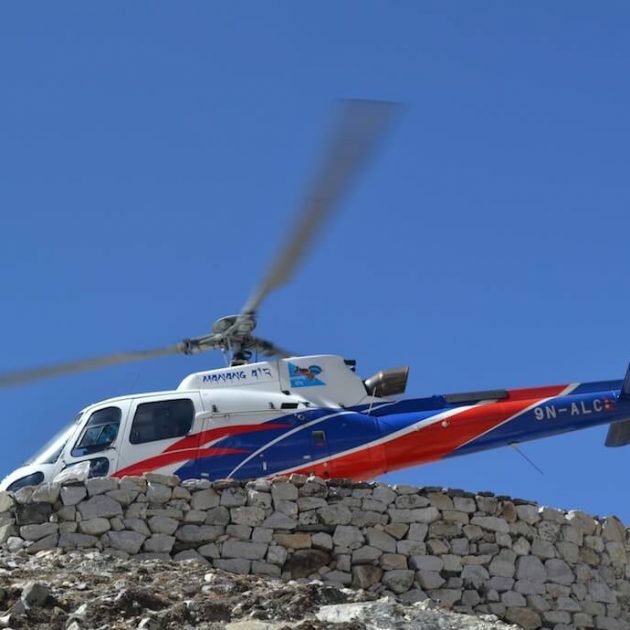 -Providing highest standards of helicopter, teams and gears for all missions. 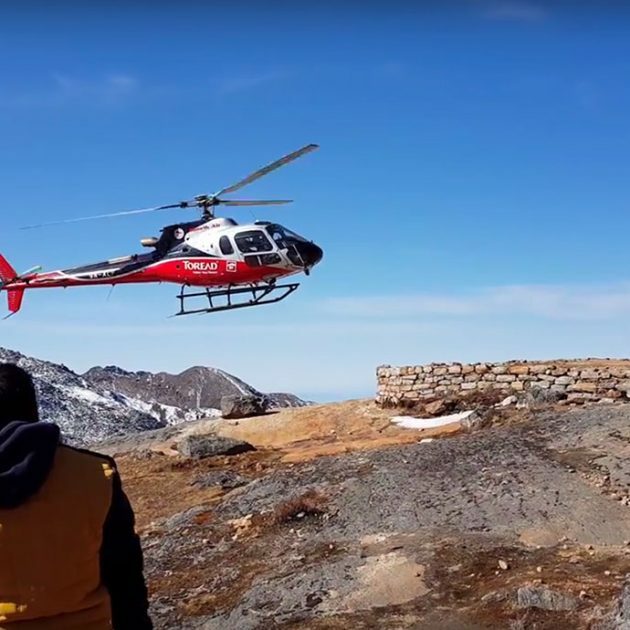 Our main concern is that how we finish our mission in safety way so we provide and apply well experience team and suitable Helicopter to complete the mission with safe and secure. Our Head office is in Kathmandu, Thamel which is 7 K.M away from the domestic airport and we do have branch office in the airport of Kathmandu. Easy to operate the service quickly. Our hunting line is open 24 hours and also mobile phone is 24 hours. We have an airport assistance until its close. We response quick and operate quick. More than 10 years experienced team. 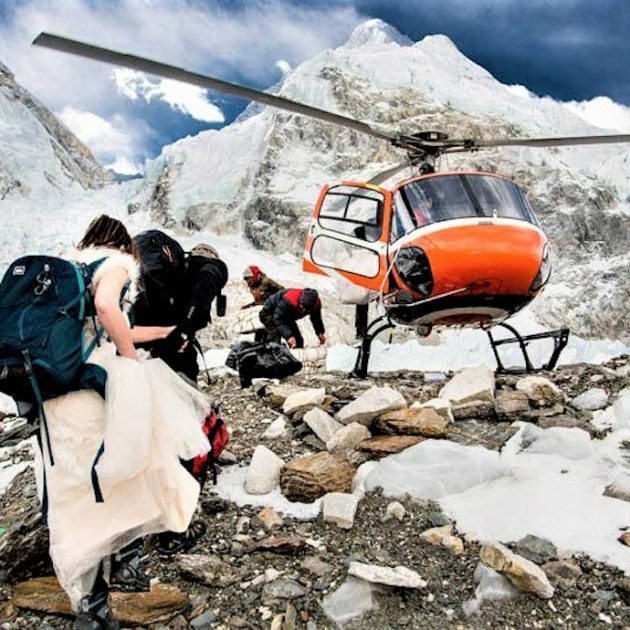 Our team is experience in an evacuation field as well as helicopter tour flight more than 10 years. 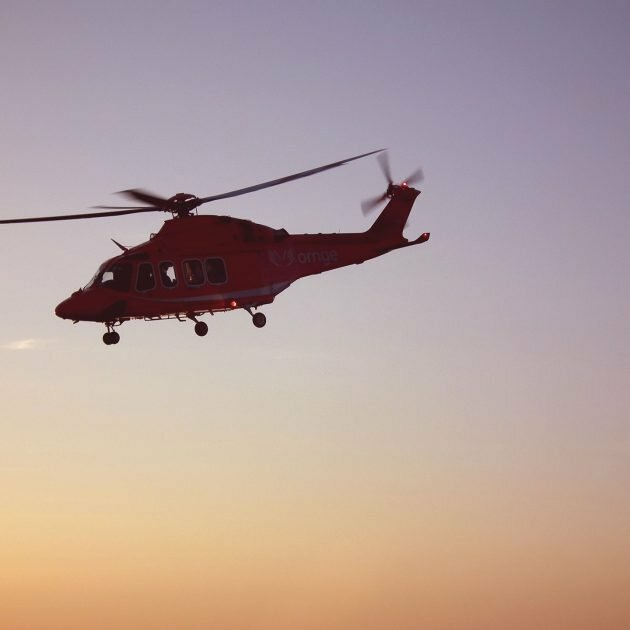 We land direct to the Hospital in serious condition as well as travelers can choose their own landing place since we operate most of Helicopter with B-3 Engine. We planning your next trip to Nepal and Everest area, make sure you use services of this professional team. Important things first: easy and straight forward booking system with 10% advance payment. The remaining you can pay in cash or by card at airport. Hotel pick-up in morning. 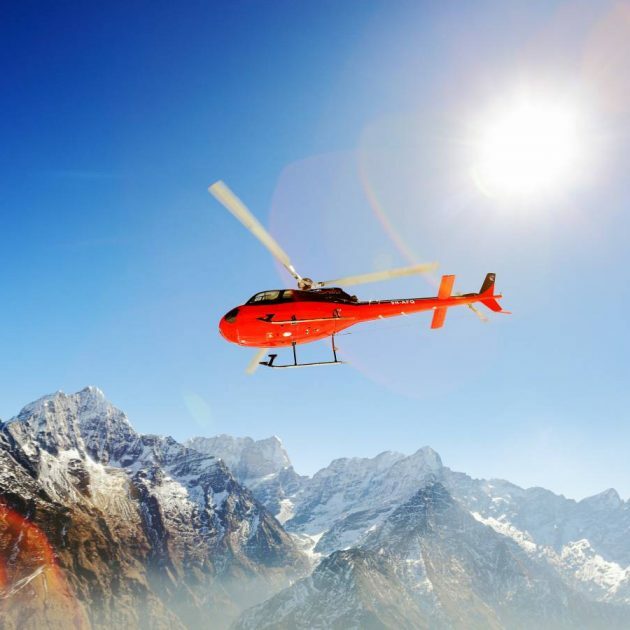 Depending on weather conditions and occupancy in helicopter, please do plan at least 2 days for company to choose from to make sure that you get the best experience (changing weather conditions) and the best price (occupancy in helicopter) . I ordered flight at very short notice but regardless of that I got advertised price. Replies to e-mails were timely and informative. 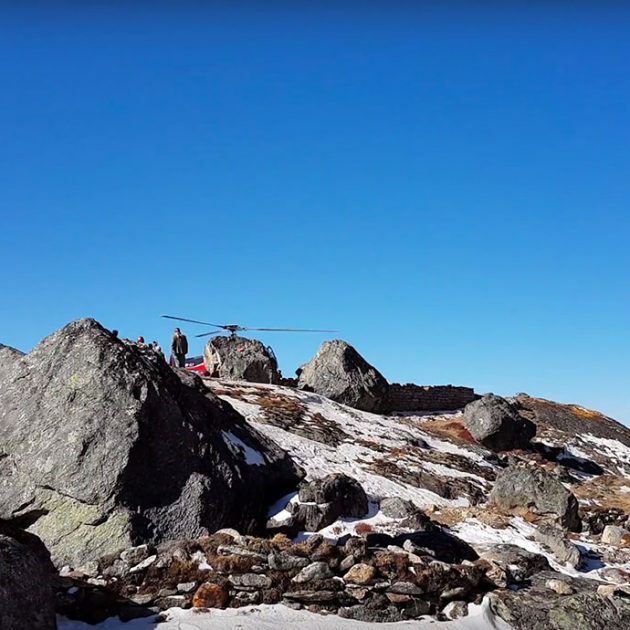 I have used helicopter services in various mountain regions number of times and I can say that pilots were highly professional and handled flight really well even at the times when strong gusty winds hit the aircraft at the base camp area. After seeing base camp area there is a refueling stop on the way back at Everest View Hotel. Breakfast with the view of mountains is one of the best experiences of the day. Important to note – there is WiFi available at the site for 200NPR so you can immediately share your photos and video with your friends and family or make a call home to share your experience from the trip while you are full of positive emotions. 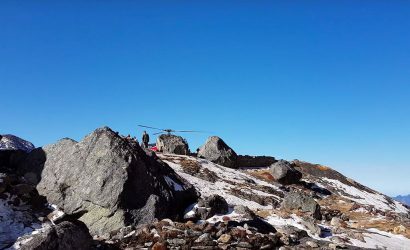 Summing it up – I would recommend you this flight experience and professional team that provides it. Make sure it is on your list of things to experience in Nepal! 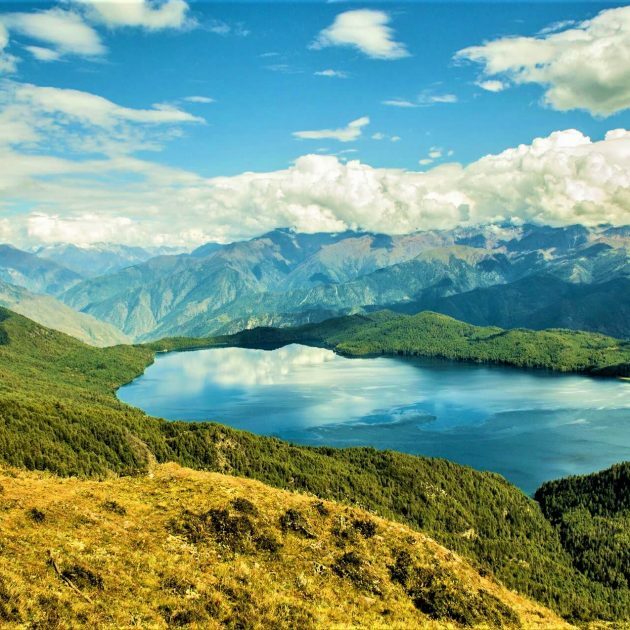 I got really sick because of the altitude on day 5 of my trekking to EBC. 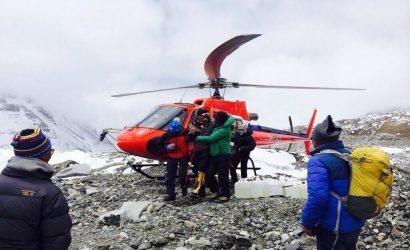 Everest Experience and Assistance were so helpful in getting me out of there and to the hospital in Kathmandu. Throughout the process they kept me fully informed. They arrived right on time as they said they would. They even had a staff who assisted me throughout the flight and even accompanied me to the hospital and i didnt have to pay anything at all. They liaised with my insurance company and kept me informed of all the progess. The ride was so smooth. They are really trustworthy and really do takecare of you. I couldnt have asked for anything more. They are higly recommended. They are very professional and do take care of you like their own. heights or so.. strongly recommend this organisation.. 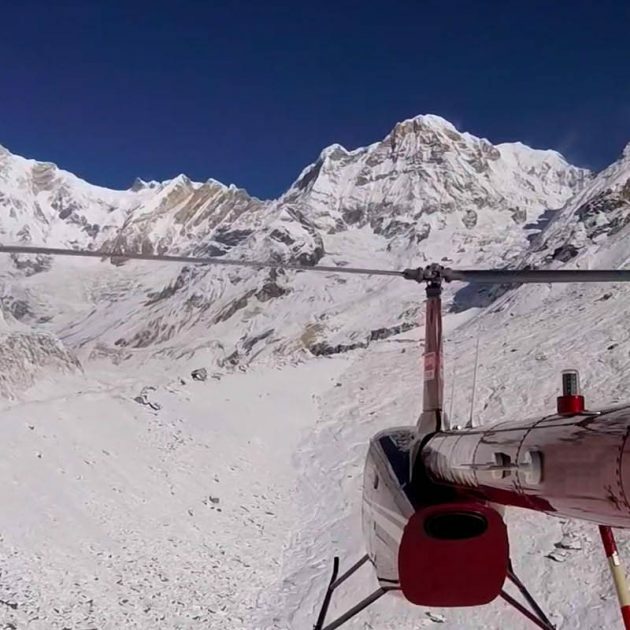 Helicopter tour to Everest base camp. Die Organisation, Kommunikation und Abwicklung im Vorfeld der Flüge war einwandfrei. 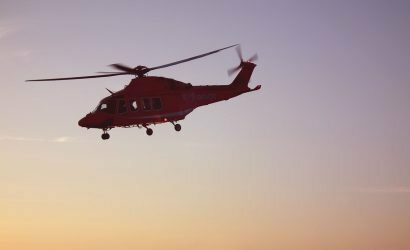 Die Piloten und das übrige Personal machen einen äußerst professionellen und erfahrenen Eindruck. 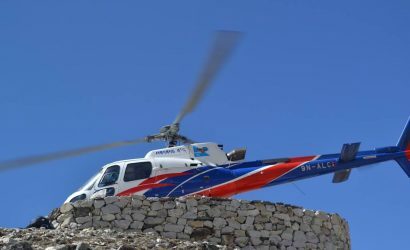 Auch die Helikopter wirken gepflegt und auf technisch einwandfreiem Niveau. Insgesamt ist der Anbieter aus meiner Sicht absolut zu empfehlen! 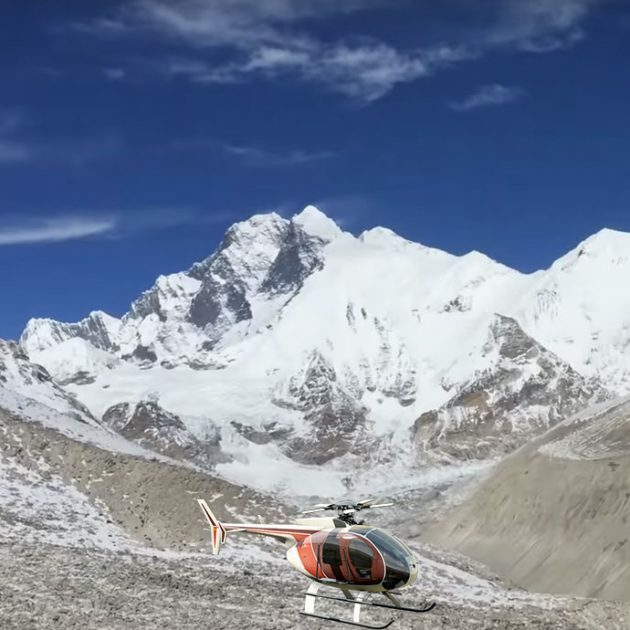 The trip to Helicopter tour was incredible, one left side was snow-capped Himalaya during the flight, can see the green views and many falls from the Mountain. Just very clean and green with the High mountain on the side. The way to Lukla was so much fun and amazing. 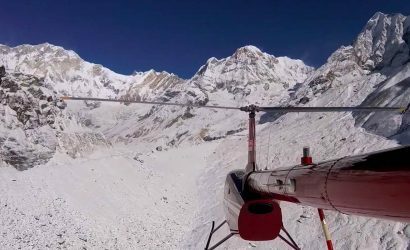 After the Lukla, many pass and rivers can see the glaciers, actually from Lukla to Base camp was a short flight which is around 10 minutes more or less. We flew over the base camp during the up and down. Landed nearby for the picture for few minutes. Such an amazing view of Mt. Everest and much another snow-capped mountain. We have also landed at the Lukla and the Everest View Hotel. Both of those landings were just fantastic. Service from the company is recommended, the trip was with other 2 people more. 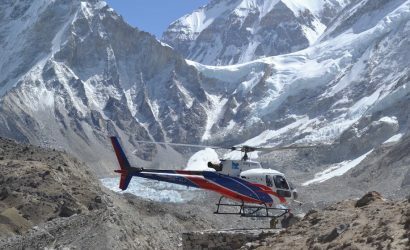 I Joined the Everest base camp Helicopter tour. Just a got the best deal and booked. There were other 3 people in a group In same Helicopter. 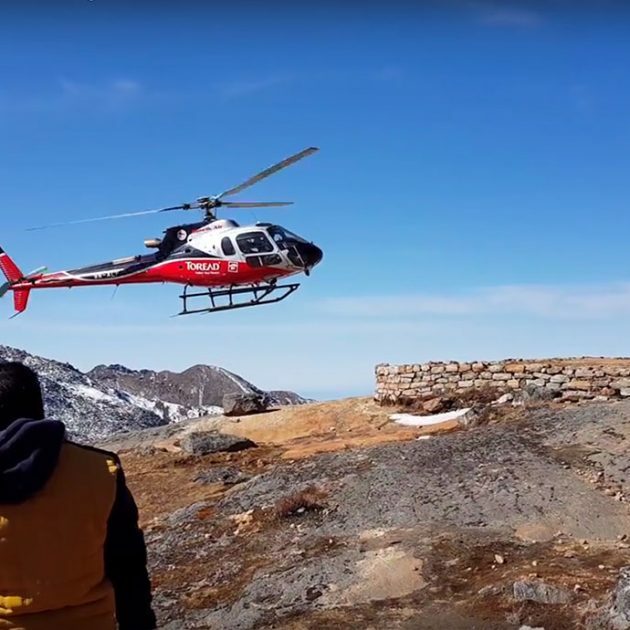 The trip was four hours more or less including landing in Syngboche , Lukla, and Kalapatthar. 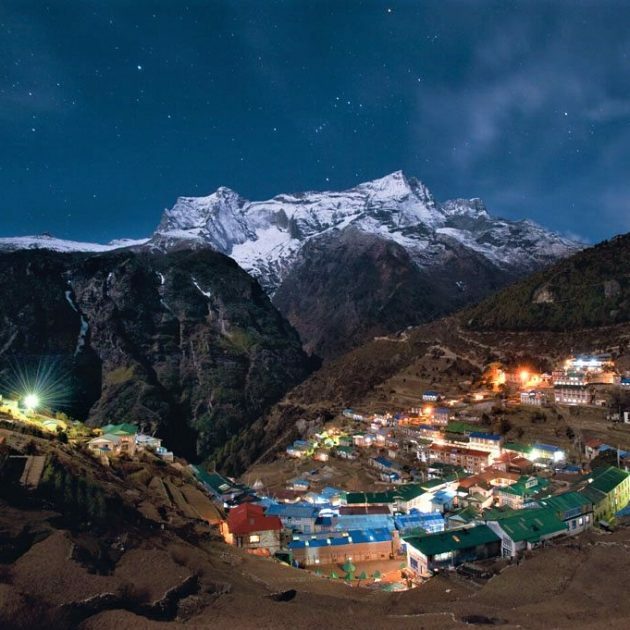 The first stop was in Lukla, the second stop was nearby Everest base camp and the third one was Everest view hotel. There were also great views on the way to Lukla and after that of the Mt. Everest but the best view and great experience of the Mt. Everest was from Nearby Basecamp. From Everest view hotel we also had a great view of the Mt. Everest, Breakfast at that hotel with the Mt. Everest was a great experience. Such a great adventure in a day. 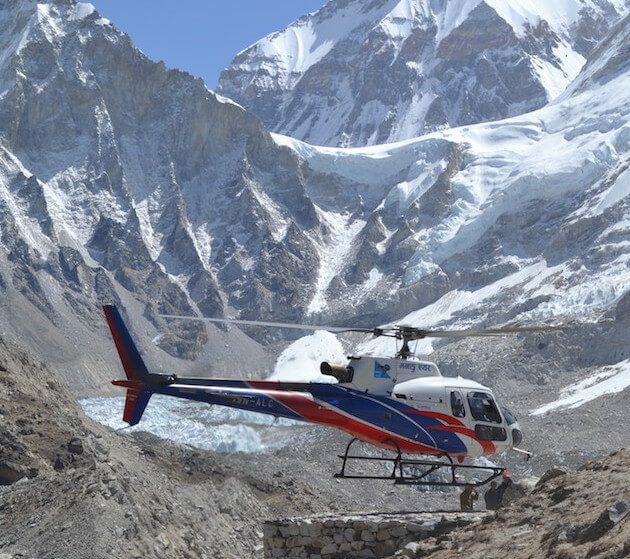 Everest base camp Helicopter tour, Great Adventure. We booked the trip via Everest experience web page. The trip was started at 8 AM. We were picked up from our hotel at 7 AM in the morning. 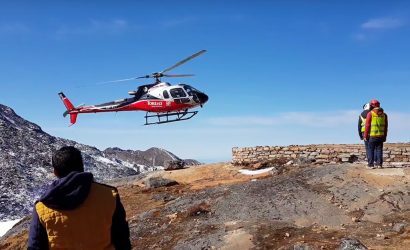 We had our driver who connected with the Helicopter Staff. It took us 45 Minutes to land at Lukla airport, we had 10 minutes stop over there. Again we flew to Basecamp. 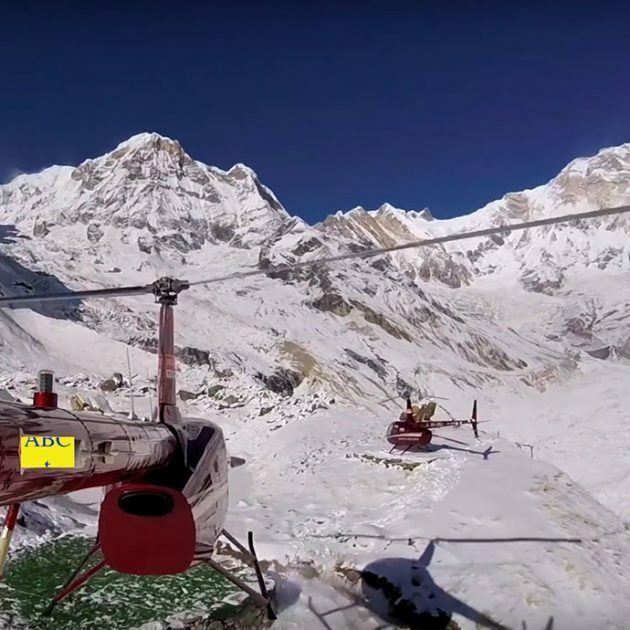 We flew close to the base camp and landed nearby with the best viewpoint of The Mount. Everest. During the green hills were very clean with waterfalls around which was an amazing experience. During that time there was some cloud on the way and could not saw the mountain from Everywhere, but After Lukla, the flying path was stunning, Glaciers, High Snow Caped Mountain closely. The landing was so great and so close of the Mt. Everest for the Photos and videos. We had also landed into the Everest view hotel for the light lunch. Due to the weather, it was a bit quick but the best experience. The pilot was really experienced and this company has the great combination as well as best crews. The company and trip are recommended. 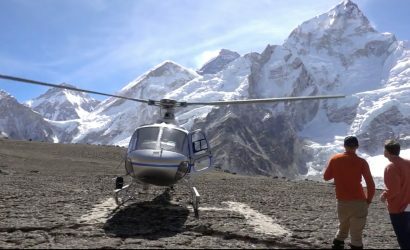 We decided to take a Helicopter tour to Everest base camp because we have just a few days in Nepal and we really would like to see the Everest by Landing and take some pictures with the peak of Mt. Everest. The flight was early in the morning, they pick up us from the Hotel and drop us to the airport, we flew to Lukla and landed there for a few minutes. 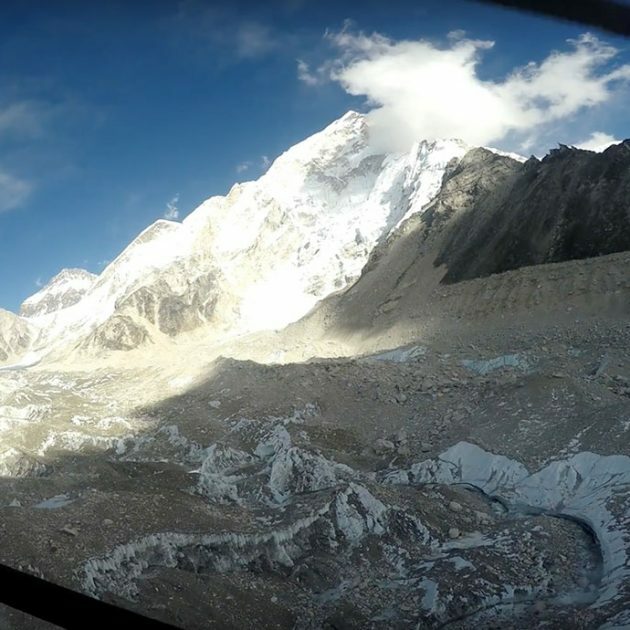 We flew over to the Everest base camp and landed on the Kalapatthar, The view of Everest from Kala Patthar was amazing. It was just for a few minutes but was really great. We landed into the Everest view Hotel Syangboche for the breakfast. Which was also the great point to see the Mt. Everest. Overall we had a really good impression and great service with the trip and service. We recommend this trip and company. 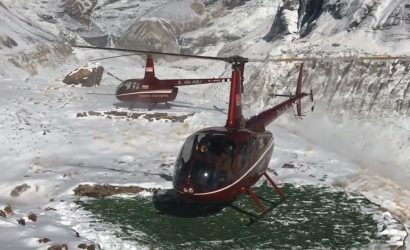 My First experience with Helicopter landing at Everest. 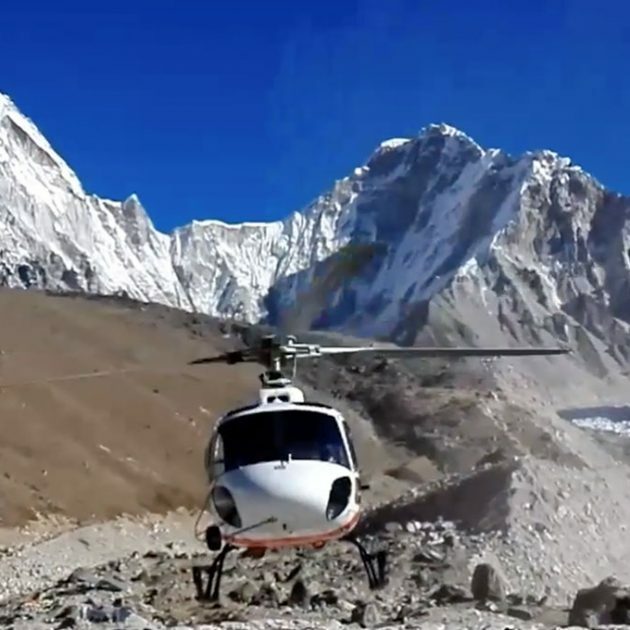 My trip to the Everest Base camp Helicopter landing with them was very nice and smooth. I have to say that I felt like my tour couldn’t have gone any better than it did with Everest Experience and Assistance, Nepal. 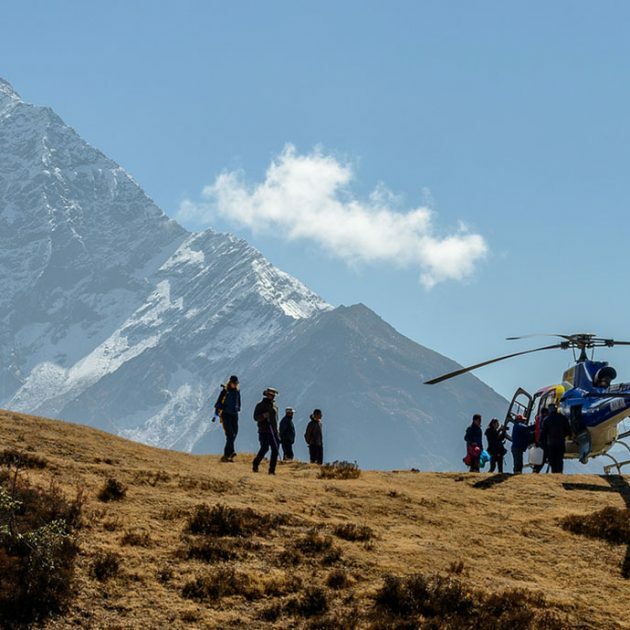 We love travelling and while planning our next adventure tour we found out about Mount Everest Adventure Helicopter tours. We came across Everest Experience and Assistance who offered not only this tour but other similar adventure tours and expeditions to different parts of Nepal at a considerably reasonable price. We had assumed we would have to go through so many hassles for this tour but we are very glad that because of this company we did this tour at ease. 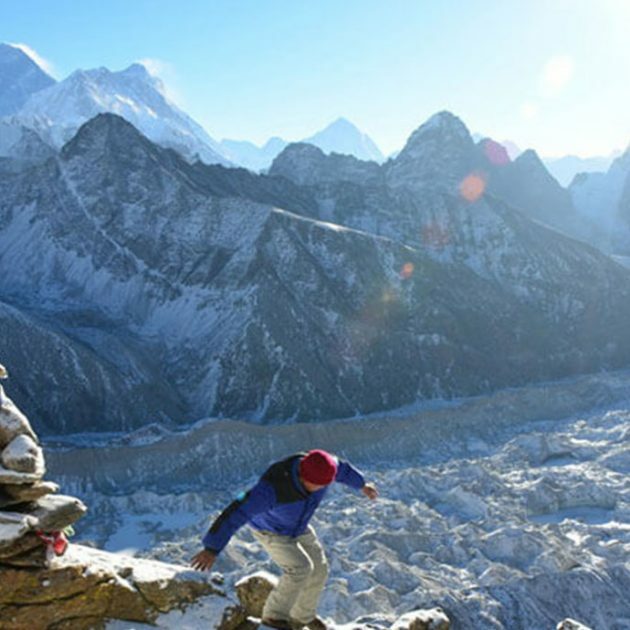 We would definitely recommend Everest Experience and Assistance, Nepal. 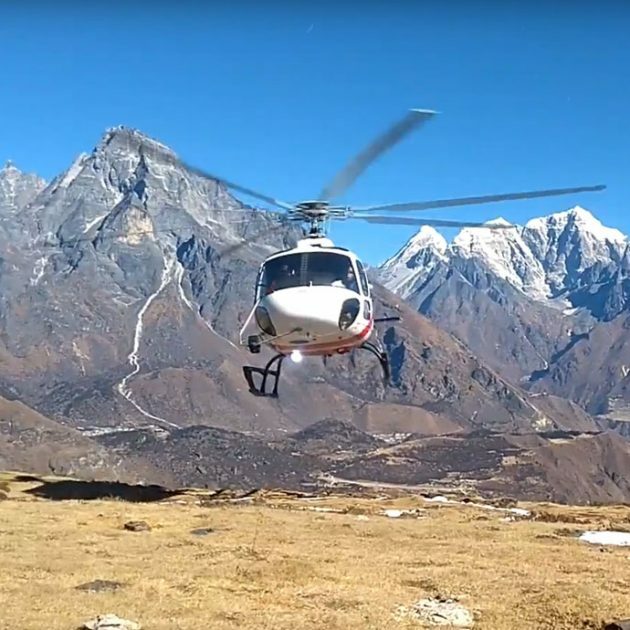 Everest Adventure Helicopter tour truly is the best aerial excursion of the world as they said it was. 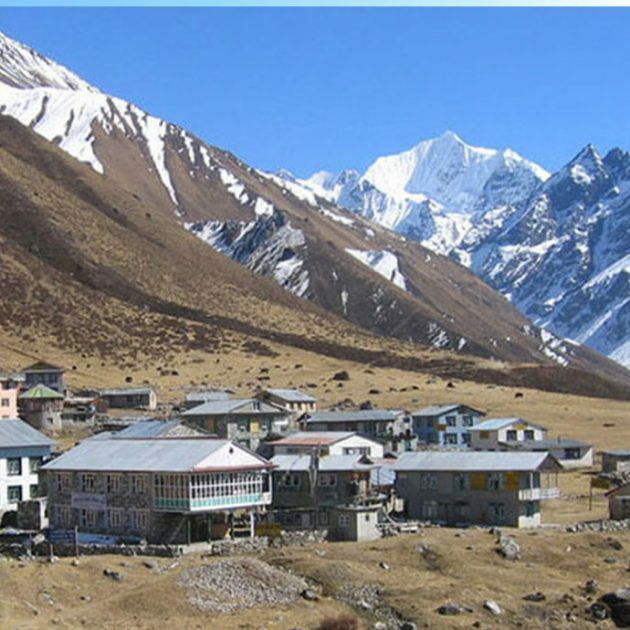 We will surely come back to try other adventure tours offered by Everest Experience and Assistance, Nepal. The overall services and customer dealing methods of this company was very nice. Keep up the good work, Thumbs up! I’m so glad that I contacted you guys. The overall services and the response received from this company was very good. 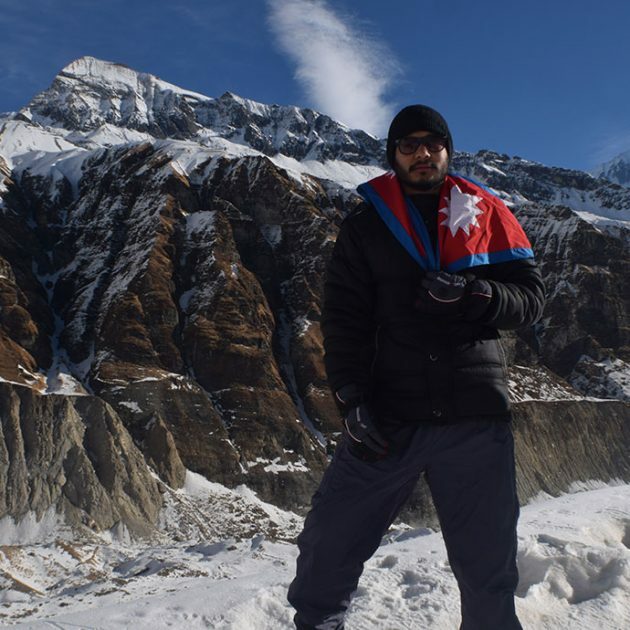 I must say I’m very satisfied with Everest Experience and Assistance, Nepal. 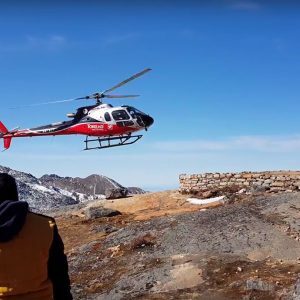 When I decided to take the Everest base camp Helicopter tour I was very worried because I didn’t know any good service providers in Nepal. 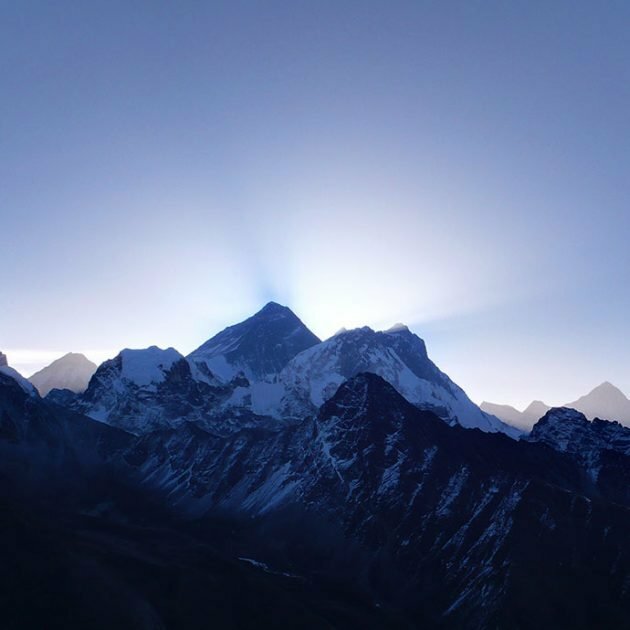 I was searching for this information on the Internet and that’s when I stumbled on Everest Experience And Assistance‘s website. I was very happy with what they had on their website. So, I contacted them via Email and I received good responses from them. I decided to travel with them and I was very happy with their smooth and hassle-free process of dealing with their client. 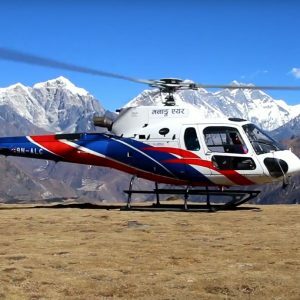 My trip to E Everest base camp by Helicopter was amazing and I recommend this company to everyone. 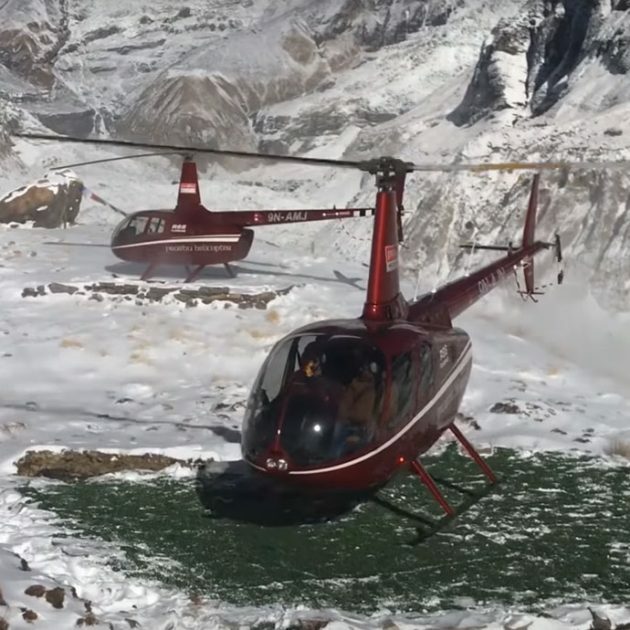 Everest base camp Helicopter ride was so much easier and fun as well as different adventure. They have a good pricing of the packages that includes facilities what I was looking for. Please choose your suitable package, choose your location either if you need evacuation assistance or a tour. Please let us know. We will surely put all our effort to complete your mission successfully.